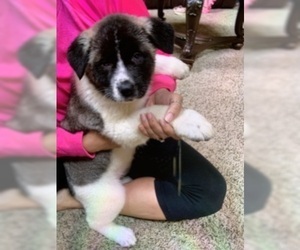 Overview: The Akita was developed to hunt bears in Japan and, as such, is a great guard dog. They're strong and loyal, often employed by police for active duty. Colors: Any color, including white, pinto, or brindle. Coat: The hair is straight and coarse, and the undercoat is soft and dense. 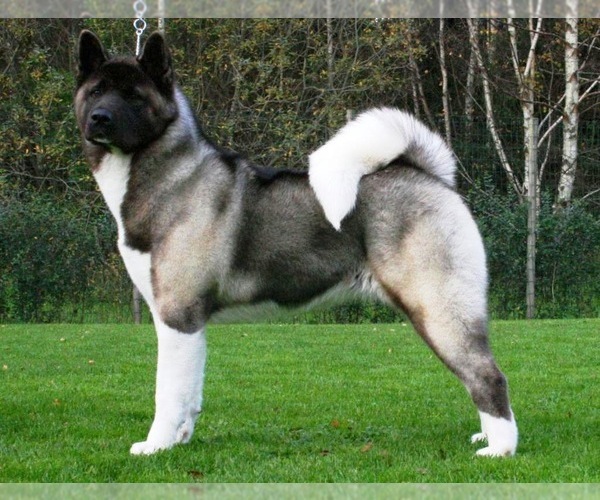 Character: Akitas are intelligent and calm. Though great watch dogs, they bark infrequently. Temperament: This breed prefers not to have other dogs in the family. There may be problems if they do not become acquainted with cats and other household pets early in life. They get along with children that are respectful of their space. Care: The Akita is a shedder. At least twice a year, groom it with a metal-toothed comb. Training: A good deal of patience and persistence is required when training this breed. 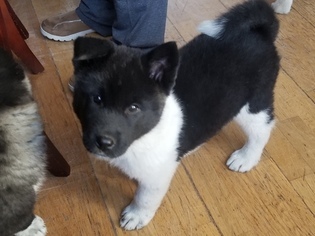 Activity: Akitas are able to adjust to your schedule. Daily walks are good, but they seem to handle foregoing a walk, if needed. Health Issue: This breed is prone to hip dysplasia, thyroid problems, immune diseases, skin problems, eye, and knee problems.